How Bucker integrated 15 apps in its single interface and has grown to 20,000 user base in just six months? Bucker is a Hyderabad based startup which is dedicated to users to improve their decisions with the best options and offers spending least money. 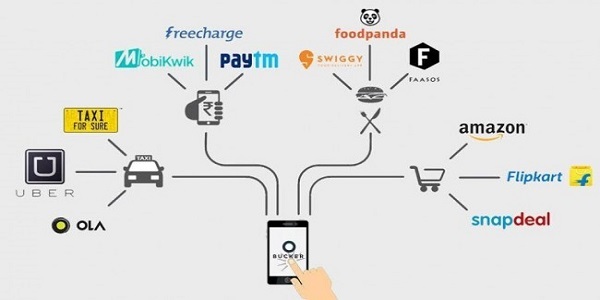 Bucker runs on an app only model with an aggregation of 15 apps of cabs, shopping and coupons with the major players like Ola, Uber, Taxiforsure, Swiggy, Foodpanda, Paytm, Freecharge and Mobikwik are currently accessible through the app. Bucker is looking to extend their support of give coupons and discounts for shopping, fashion and travel soon. Why we chose Bucker as startup of the Week? Bucker in its starting of 2 months has got a customer base of 9000 users using zero investment on marketing. Bucker currently curates about 15 apps on a single interface. It has received a seed round of funding in its initial state. Currently it has a user base of over 20,000. Facebook fan following has grown around 3500 organically. 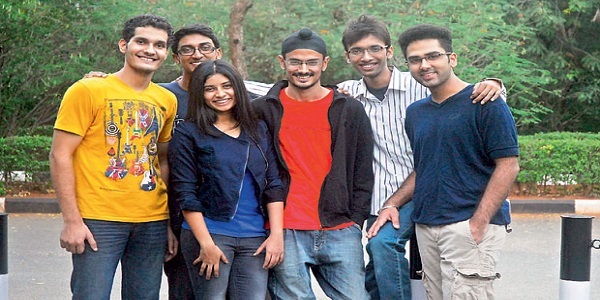 Hyderabad based Bucker, is just a startup in its journey. Three International Institute of Information Technology (IIIT) alumni Ravneet Singh, Vennela Miryala and Nikhar Agrawal launched the company in November 2015. The idea came when the trio were studying in their college. To save few amount, they used to create fake email ids and get referrals and discount codes. Like these guys, many students remain short of cash. But using the method of creating fake accounts took a long time and discount of a few rupees. So from here the idea of Bucker emerged and the trio started brainstorming with the idea. Additionally, all of them noticed the problem with older generations in making recharges or booking a cab or bus. It is then the trio realized that while they were app savvy, their parents weren’t so. 1) Referral marketing: Refer Bucker app to your friends or relatives and earn free BookMyShow Vouchers. The offer is free for each user of the app. User can download the app and can participate in the referral activity. 2) Social media marketing: The Facebook page of the company has around 3500 fans on the page. Bucker daily posts the name of the winner of the referral contest on the Facebook page. 3) Word of mouth: The Company has 9000 users in its initial 2 months and the current user base is of 20,000 users. These users are promoting the name of the company without taking any money. They are promoting the name of the company using word of mouth method. If anyone gets simple and relevant way to get any service then he/she will definitely refer it to the others. The same is happening with Bucker. Bucker works on an affiliate commission revenue model. Bucker gets a part of money as commission from the multiple players like Ola, Uber, Foodpanda etc. for every booking the customer makes. Bucker in January this year raised money in seed round from the angel investors from Silicon Valley and 50k Ventures. The company will use the funds to increase their team and hiring employees from Flipkart and Microsoft. The company has grown its user base to 20,000 within a span of 2 months. The company has integrated 15 apps in a single interface. The app integrates services from Cab (Uber, Ola, TaxiForSure); Food Ordering (Foodpanda, Faasos, Swiggy, Tinyowl) and Recharge (PayTM, Mobikwik, Freecharge).